Bono has been named as one of the ‘Women of The Year’ by Glamour Magazine, and everyone’s a little bit confused, understandably. Glamour editor-in-chief Cindi Leive came ready to defend it. 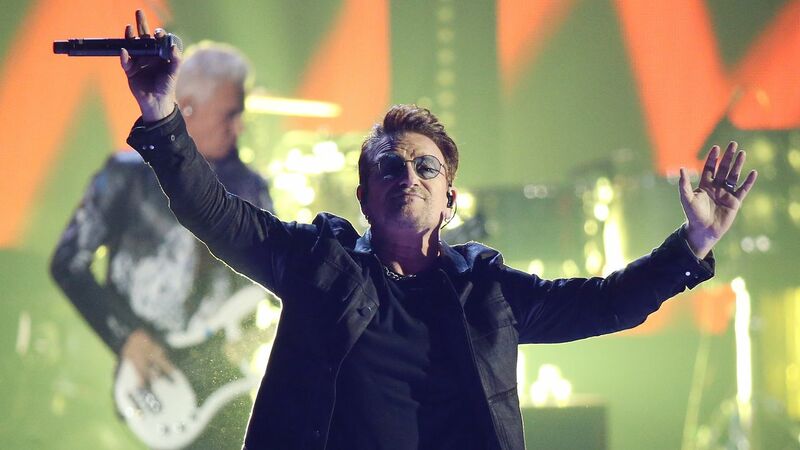 And so, Bono has the distinct honor of being the first man to ever receive the honor, joining the likes of Olympic gymnast Simone Biles, plus-size model Ashley Graham and “Emily Doe,” the sexual assault survivor in the Brock Turner case. In the accompanying Glamour piece, CNN correspondent Christiane Amanpour commends the singer on his humanitarian work, including “[bringing] about $100 billion in debt cancellation for 35 of the world’s poorest countries,” and persuading President George W. Bush to provide funding for AIDS drugs in Africa in 2004. Bono, she adds, specifically places women’s rights at the forefront of his new “Poverty Is Sexist” campaign, an initiative that calls for men to address the way poverty disproportionately affects women. The singer’s philanthropic resume speaks for itself. Still, it’s hard not to immediately think of fictional Parks and Recreation character Ron Swanson winning his own Woman of the Year award and wonder — is this real life? Bono told Glamour he can hardly believe it either.